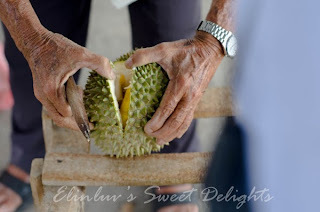 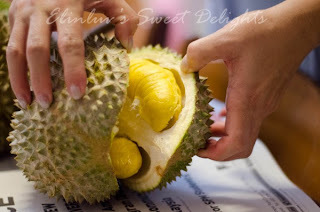 Wow....managed to get some nice durians for Piggy Josh :) He was looking for Musang King durians and finally afer I called Claire of Caring Is Not Only Sharing , she recommended me this old man selling by the road side along Canning Estate. 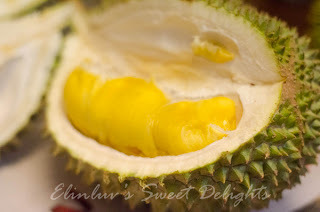 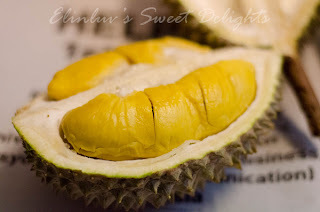 Musang King costs RM26/kilo ...we bought 2 musang king for RM80 and one D24 @ RM12 a kilo ....I have stopped eating durians 4 years ago but seeing this thick creamy durian, I could not resist and took two seeds LOL! Temptation is great and I really need to pray....Heavenly Father, deliver me from temptation of these king fruit, Amen ! 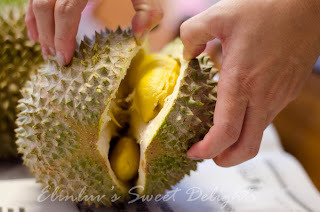 Do not be deceived by the regular look of the seed. But as you savor the pulp , you will notice the meatiness and the creaminess of each bite. For durian connoisseurs , they will immediately notice the exquisite taste as you swallow the creaminess down the throat. 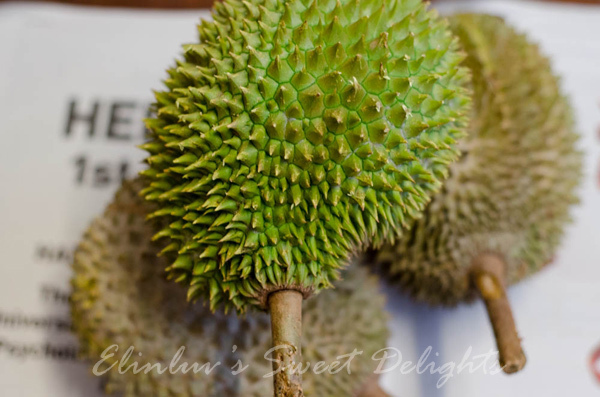 Therefore it was money well spent on an earlier thought of extravagance.